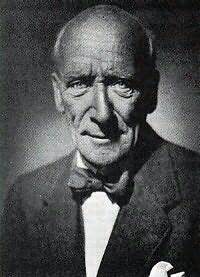 Algernon Blackwood was born into a well-to-do Kentish family. His parents, converts to a Calvinistic sect, led an austere life, ill-suited to their dreamy and sensitive son. During adolescence, he became fascinated by hypnotism and the supernatural and, on leaving university, studied Hindu philosophy and occultism. Later, he was to draw on these beliefs and experiences in his writing. Sent away to Canada at the age of twenty, his attempts at making a living were wholly unsuccessful and shortly after his return to England, he began to write. The Empty House and Other Ghost Stories, published in 1906, was followed by a series of psychic detective stories, featuring John Silence, 'physician extraordinary'. His reputation as one of the greatest exponents of supernatural fiction began to grow.Chiefly known for his ghost stories, Blackwood wrote in many different forms within the genre. His most personal works, however, are his 'mystical' novels, for example The Centaur, where he explores man's empathy with the forces of the universe. Blackwood also wrote children's fiction. A Prisoner in Fairyland was adapted into the play (later the musical), Starlight Express.